"Pentagon denies that U.S. soldiers were exposed to chemical and biological warfare agents during the Gulf war"… "Pentagon withheld findings of chemical weapons in Iraq that caused US casualties"
The Pentagon acknowledged that more than 600 American service members did alert military medical staff they had been exposed to chemical weapons while serving in Iraq. The military admits it failed to track the cases, or offer treatment to the troops. 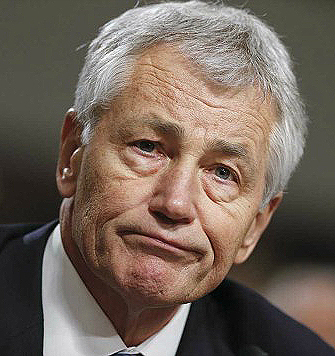 The news comes after US Defense Secretary Chuck Hagel ordered an internal review of Pentagon records, which have now uncovered hundreds of troops who told the military they believed they were exposed to chemical weapons. A spokesman for the Army surgeon general told The New York Times on Thursday that the review showed 629 people answered “yes” to the question of chemical exposure, and also filled in a block with details about the chemical agent they were exposed to. The Army spokesman said each person would have received a medical consultation at the end of their combat tour. Once the records were submitted, the military failed to take any further steps with the soldiers for more than a decade. The Pentagon did not compile data, monitor veterans with medical complaints, or circulate warnings to other soldiers and the Department of Veterans Affairs. Despite the men and women receiving wounds in action, the soldiers were not awarded Purple Hearts – one of the oldest and most sacred military awards. The Pentagon told the Times it has asked the Public Health Command to identify all veterans who reported a possible chemical exposure, gather their medical records, conduct interviews and carry out possible medical examinations. They have also revived a telephone line, 1-800-497-6261, for chemical weapons exposure complaints. “It’s too little, too late,” said Jordan Zoeller, a former Army sergeant who served in a platoon that was exposed to sulfur mustard agent in 2008, to the newspaper. 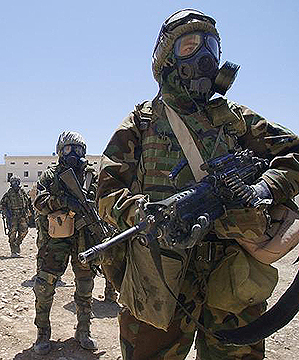 The internal review was called following an investigative report last month by the Times into the illnesses experienced by 17 soldiers related to chemical weapons exposures to sarin and mustard gas, which occurred when handling abandoned and re-used munitions during the Iraq war. Once the story ran, another eight soldiers came forward with their stories about chemical weapon exposure. 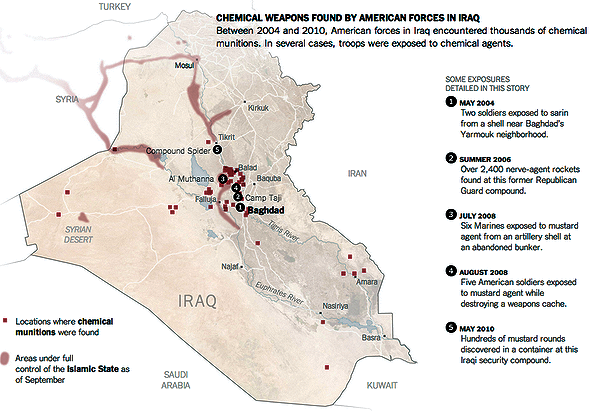 At the time of the NYT report, the Pentagon said it will carry out medical exams and health monitoring for service members and veterans exposed to chemical weapons in Iraq. 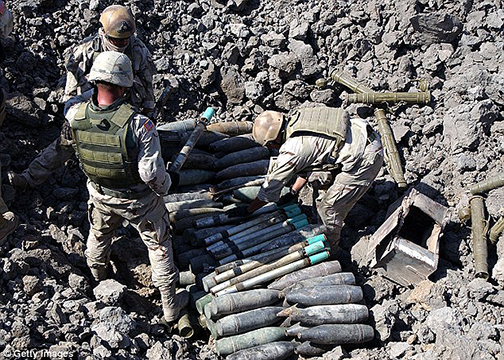 Military brass said the information was kept classified so insurgents would not learn the whereabouts of Iraq's old munitions.